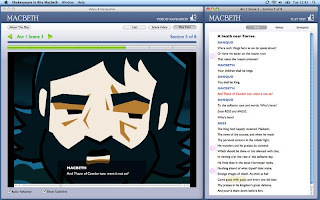 Trying to Teach Well and Good: Shakespeare in Bits: Using the App to Teach "Macbeth"
Shakespeare in Bits: Using the App to Teach "Macbeth"
A guest post by Frisch colleague and English teacher, Meryl Feldblum. Thanks, Meryl, for this great post! 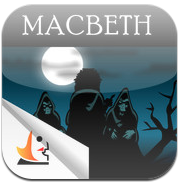 I wanted to share my experience reading Macbeth using the Shakespeare in Bits app. For the past two years, I have struggled to teach Macbeth to my mid-level ninth graders. They could not understand the language on their own and could not understand some of the older productions of the play. Until now I have not found much use for the iPads in my literature class, but this app changed everything. The app contains an animated version of the entire play, with professional actors doing the voices. 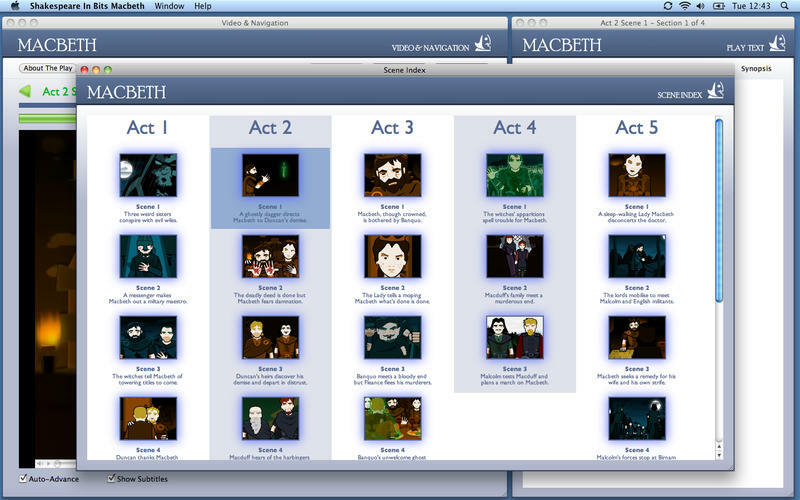 While a student watches the animation, s/he can read the text on a sidebar that highlights the passages as they are being performed. In addition to the text and the animation, the app has notes and comments about the passages and also allows the reader to click on specific difficult words for an explanation of them. 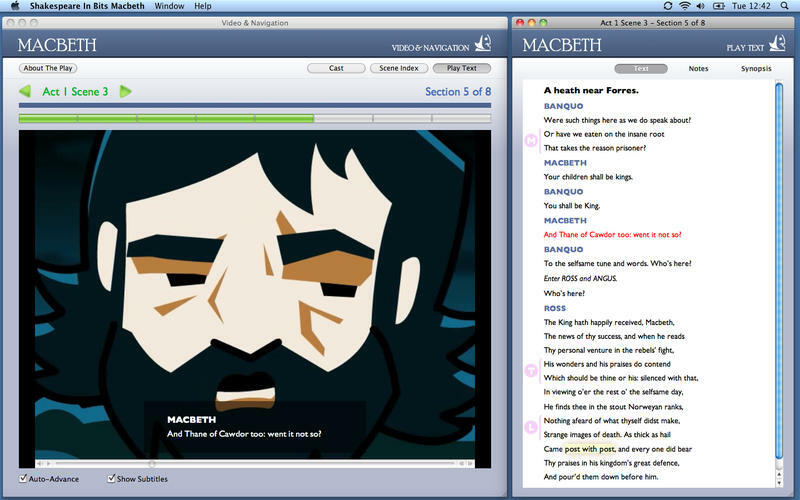 The app allowed students to read and experience Shakespeare on their own. 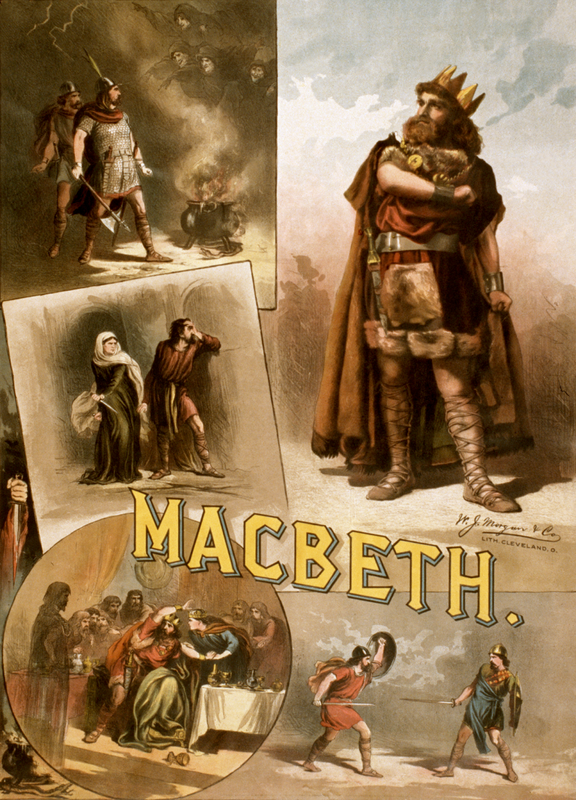 I assigned to students each night one or two scenes of Macbeth, which we discussed in class the next day. I also had the students keep a reading log; they had to choose key passages and explain the importance of the passage to plot, theme, or character development. After we finished reading the play with the app, I polled the class for their reactions and got positive feedback from all of the students. They all agreed that they would not have been able to understand the play without the app. In addition, they all felt that this was the most useful app they had used on their iPads over the course of the year. To assess the students, I had them write their own, modern-day version of Macbeth. I explained to the students that many of Shakespeare’s plays have been modified, adapted, and modernized. We discussed how many romances are based off of the premise from Romeo and Juliet, and I pointed out that The Lion King was really an adaptation of Hamlet. 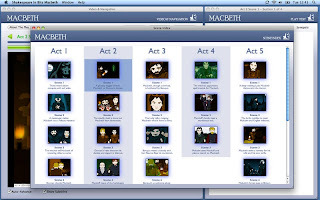 In groups of two, the students developed a modernized Macbeth. They explained the premise of their adaptation, rewrote portions of the script, created a wardrobe, compiled a soundtrack, and chose their dream cast. The students came up with some really creative ideas: One group chose to rewrite Macbeth as a Western, another as a police drama (instead of the witches, Macbeth receives the “prophecy” from fortune cookies). I was really impressed with the students’ engagement and excitement. While I’m aware that this particular project could be done without an iPad, my students would not have had the foundation in the play without the Shakespeare in Bits app. This particular app allows the mid-level type student to do more creative and higher-order thinking assignments. I’m excited to use the app again this year with my freshman classes.